Discussion in 'Japanese Server' started by Hyperion, Oct 15, 2014. Season 11 from October 14th at 11:00 PM - October 21st at 10:59 PM PDT. HR cap increased to 26. Battle 1 - Arcane Solo Eric, Bard Elton, Holy Thunder Eze. Battle 2 - 5 Lucana, 5 Rhine. Battle 3 - 6 Kuda, 6 Rogen. Battle 4 - High Roller Zeul. Battle 5 - Bow God Lario, 6 Faris, 6 Lidith. Battle 6 - Hell Keep Alice, Inferno Goddess Elza. Battle 7 - Creator Maxwell. Endless on the 1st turn. Sacred Song on the 2nd turn. HR 22 - Legwand Gem (25% all stats). HR 23 - Magic Ore (4 BC/turn). HR 24 - Sphere Frog. HR 25 - Malice Jewel (30% all stats). HR 26 - (BB gauge increases after every turn (2 BC), when you attack (3-4 BC), when you get attacked (2-3 BC), when you defeat an enemy (3-5 BC), and when the battle ends (5-7 BC). 150,000 - Mech Sword (Boosts Atk, Def, Rec, and max HP by 5%). 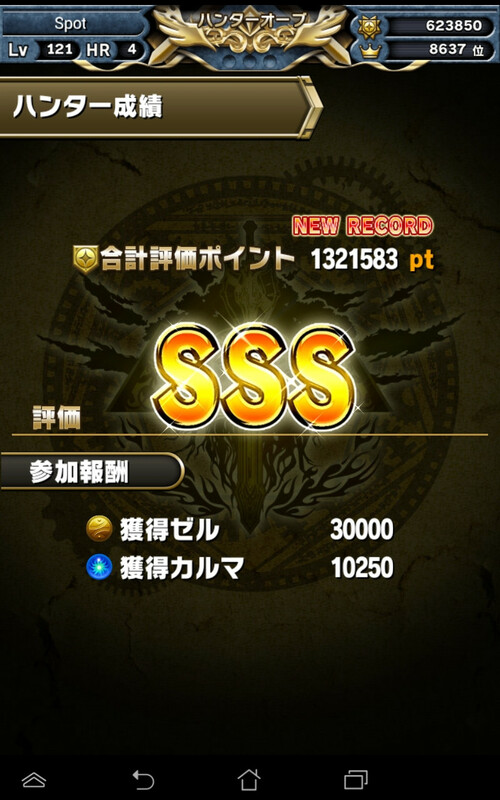 300,000 - Muramasa (Boosts Atk by 50% for first 2 turns). 400,000 - Limbo Stone (Boosts Def, Rec, and max HP by 10%). 300,000 - Miroku Pearl (Increases BC effectiveness). 450,000 - Sacred Jewel (Boosts Atk, Def, Rec, and max HP by 15%). 600,000 - Refined Gem (Invalidates all status ailments). 500,000 - Steeple Rose (Boosts damage by 50% during spark). 550,000 - 2x Burst Frog. 600,000 - Power Imp Pakpak, Guard Imp Ganju, Healing Imp Fwahl, Vigor Imp Molin. 650,000 - Medulla Gem (Boosts Atk, Def, Rec, and max HP by 20%). 850,000 - Masamune (Boosts Atk and Def by 75% for first 2 turns). 400,000 - Angelic Foil (Boosts Atk by 75% for first 2 turns). 750,000 - (Adds slight chance of inflicting random status ailments when attacking). 900,000 - 3x Burst Frog. 950,000 - 2x Power Imp Pakpak, Guard Imp Ganju, Healing Imp Fwahl, Vigor Imp Molin. 1,300,000 - Legwand Gem (Boosts Atk, Def, Rec, and max HP by 25%). Box, VasiliaX, Lidus and 3 others like this. Is Zeul crit-resistant or am I imagining things? Honestly though, double Maxwell squads are screwed this time around. Also, Maxwell hits really hard on the first turn, so either get a Darvanshel or 1-hit her if you actually want to survive it (Or don't be a jackass and avoid bringing dark units). It only gets hard starting from vs Maxwell, and it's actually easy when you know what to anticipate. By the way, mind telling me what squad you used? I ran Double Maxwell, Lunaris, Elza, Kuda & Azael (All with SBB 10 and Havoc Axes & Medullas / legend spheres 'cept Azael) and I only managed to score ~1m. Hmm, decided to play it safe and run with Deemo lead and Zelnite friend. Still got all of the rewards. Guess I'll bring Uda instead of Azael & maybe Arius or Zelnite instead of Lunaris, see how that goes. Wow!! Elza gone berserk! Was killed when saving my BB/SBB for Maxwell. Lol. Hmm. Found out Shida's SBB is very useful. And i have a guardian Shida. Hohoho. Going to speed raise him to 6 , and use him for FH terminus. Btw how much endless could deal? I mean like 1/2 HP or it has certain value just like in maxwell trial? Well with my weak setup I got almost everything i came for : all the reward of entrance, middle and end. I'm Just lacking that sphere frog. I still have time for that and then yolo on terminus trying to get whatever i can. Hopefully next fh I'll have something that can take on Terminus. Waiting for my orb to refill and i'm gonna try out terminus.are healers necessary? I did it without one (Maxwell leads, Elza, Kuda, Uda & Zelnite, used Uda first & Zelnite last, so the HC buff was pretty much useless).